Several months ago, a friend told me to keep an eye out for Parquet Courts. He had seen them at Death By Audio and was so impressed with their excellent garage-styled pop and their new album Light Up Gold, that he went out of his way to secure permission for me to record the band when I saw them live. 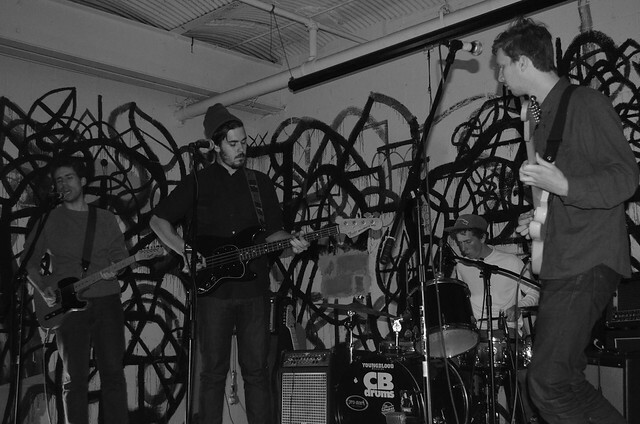 Last week at 285 Kent, I got the chance and Parquet Courts lived up to expectations. This is a tight quartet with a strong sense of melody, rhythm and a wicked sense of humor. The songs are with one exception two-minute nuggets and in their thirty-minute show at 285, they managed to fit ten of them in the set. For what its worth, the single “Borrowed Time” received this week “best new music” at Pitchfork a couple of months too late, but evidence that the band is gaining the kind of notoriety that will make these 285 Kent nights a thing of the past. We are streaming that song below. The other obvious highlight was the set closer, a six-minute song called “Stoned and Starving” that calls to mind the vocal stylings of Jonathan Richman while referencing current Brooklyn locations in a lengthy groove. It was the perfect ending for this superb set. Parquet Courts will return to Brooklyn for a show opening for Fucked Up at Warsaw, before they head out on a Midwest tour. I recorded this set with the Sennheiser cards mounted 10 feet from the stage and mixed with a board feed. The sound quality is limited only by the acoustics of the venue, but is otherwise excellent. Enjoy! 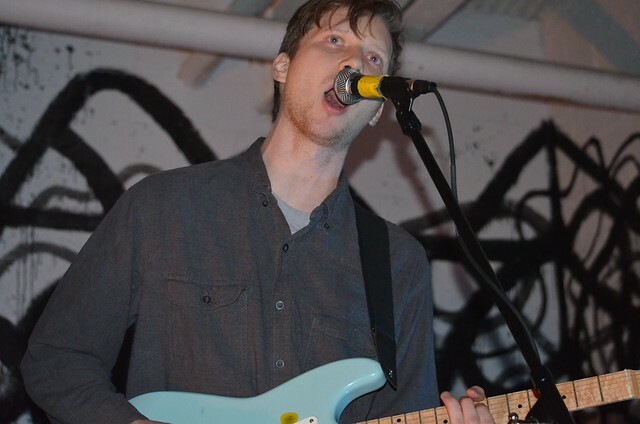 If you download this recording from NYCTaper, we expect that you will PLEASE SUPPORT Parquet Courts, visit their website and purchase Light Up Gold from the Dull Tools Records website [HERE]. I was at this show, it was awesome! Do you have the who set I could have a link to? cheers. You can download the whole set by clicking the links right there on the site….